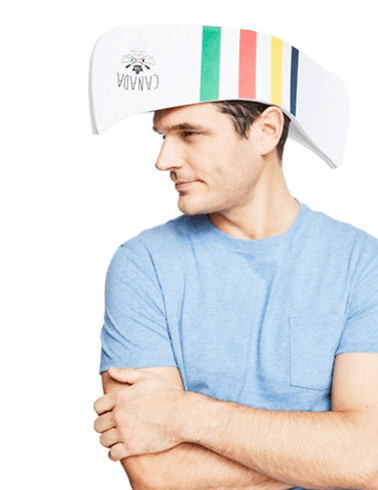 Hudson’s Bay is selling a canoe hat for Canada 150 and no this is somehow not a joke. The worst part? The Grande Portage collection of clothing and accessories being put out by HBC this summer aims to celebrate Canada 150 by contributing 10% of each purchase to connecting The Great Trail. In other words, we’d be happy to support the cause if it meant not having to buy a canoe hat. Luckily, there are a few decent, and possibly even wearable options, in the Grande Portage collection that aren’t made of foam and look like you’re wearing a canoe on your head. ‘Cause that’s exactly what you’d look like if you bought this. Even better, if you really want to look good this summer, go here and donate directly to The Great Trail. And let us never speak of this again.